Home / News / New Solo: A Star Wars Story Directors Chairs! New Star Wars™ Furniture – Directors Chairs inspired by Solo: A Star Wars Story Available Now! 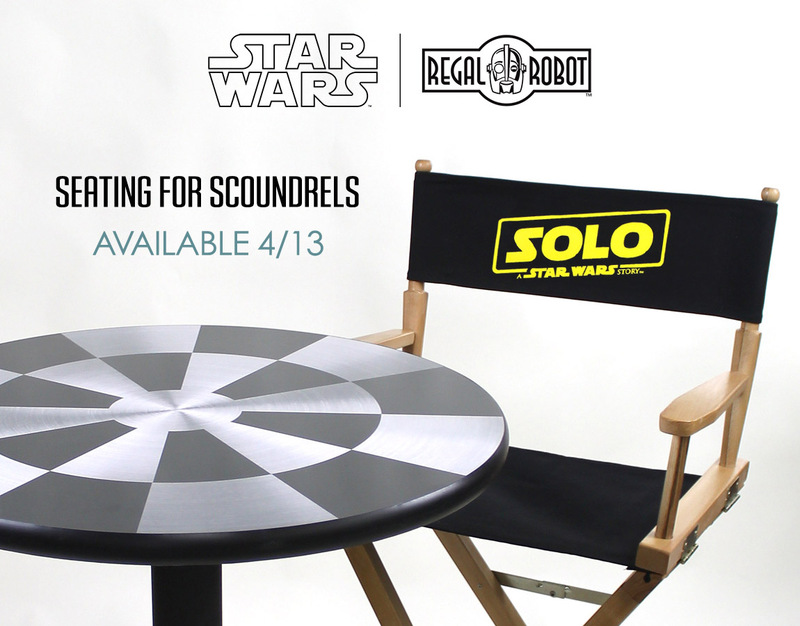 In our recently expanded Star Wars Furniture category page you’ll find a new entry that’s sure to please the scoundrels in your life – the Solo: A Star Wars Story official directors chairs and canvas sets! These made-in-the-USA hardwood folding chairs are a great way to bring a bit of Hollywood flair into your home or office! Our Solo: A Star Wars Story inspired directors chairs, available now! Complete chairs are available in three heights, and on our Replacement Star Wars Director Chair Canvas Sets page, you can order just the seatback and seat to refresh the look of any Regal Robot director chair! And for a limited time, you can save 10% using the code REGALBIRTHDAY as we celebrate our first anniversary! Just order before 4/16/18 and use that code on checkout to save! These ship within just a day or two, and are ready to go! 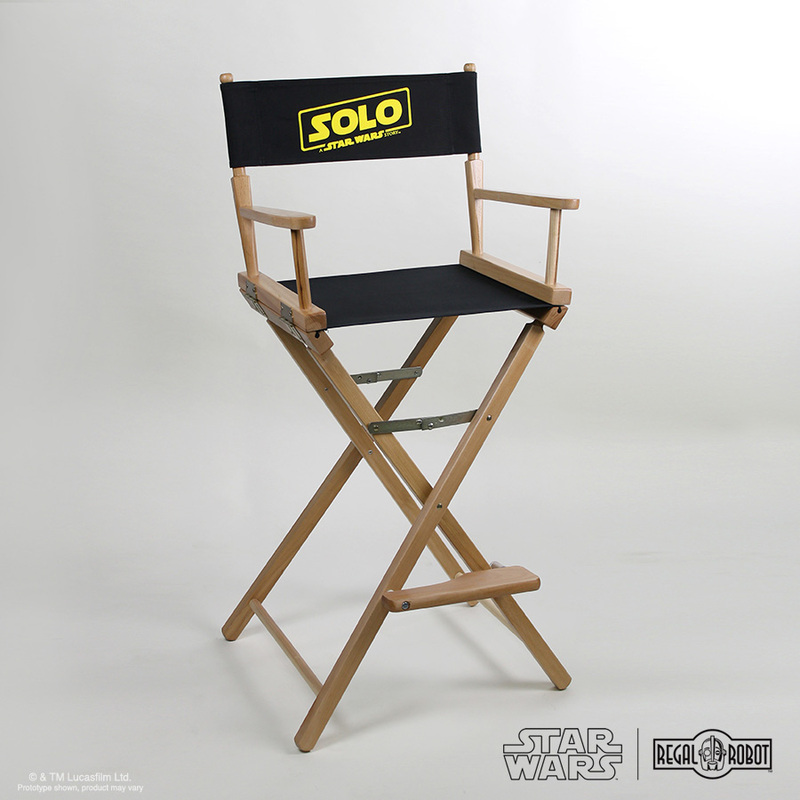 So check out the Solo: A Star Wars Story Directors Chairs page and order yours today! NOTE – 10% 0ff sale requires the coupon code REGALBIRTHDAY and is available through 4/16/18 at 11:59 PST. Does not apply to shipping costs, sale items, custom studio commissions or concept art. Please see our site’s Payment, Shipping and Returns page for further details about coupon and discounts.